“Kiss or kill. Besa o mata. Kiss glory or die in the attempt. Losing is death; winning is life. The fight is what decides the victory, the winner. How often have rage and pain made you cry? How often has exhaustion made you lose your memory, voice, common sense? And how often in this state have you exclaimed, with a broad smile on your face, “The final stage! Two more hours! Go, onward, upward! That pain only exists inside your head. Control it, destroy it, eliminate it, and keep on. Make your rivals suffer. Kill them” I am selfish right? Sport is selfish, because you must be selfish to know how to fight on while you suffer, to love solitude and hell. 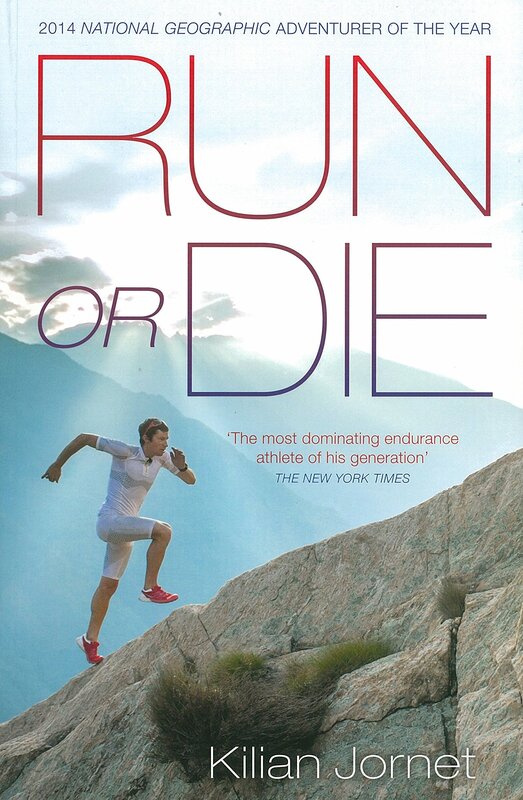 Stopping, coughing, feeling cold, not feeling your legs, feeling sick, vomitting, getting headaches, cuts, bleeding…can you think of anything better?” ~ An excerpt from The Sky Runner’s Manifesto and the code that Kilian Journet lives by. Growing up in the remote Pyrenees mountains, constantly outdoors, anyone could have guessed Kilian would end up working there too. But, no one, maybe not even kilian himself knew he’d end up becoming, first off a world renowned Mountaineer but, an Ultrarunner or Sky Runner both. Or even that he would excel at all those sports, so much so that he would become world renowned in not just one but, all of those such disciplines. And even knowing this, no one would have guessed he’d grow up to hold the previous records for ascending and descending the of the Matterhorn, Mount Blanc, Denali and even Everest. Neither would they have been able to even begin to guess he’d go on to win The Buff Sky Runner world series three years in a row, while also being the youngest ever athlete to do so in the first place and to be ‘The National Geographic Adventurer Of The Year 2014’. Knowing all of this you would assume Kilian would be satisfied with what he’d achieved, he’d literally won everything there is to win and that he’d relax into the remaining years of his life, a happy man. Well you’d be wrong. What makes Kilian so interesting isn’t the impossible things he’s accomplished in his lifetime but, the manner in which he did so and the reasons why he does what he does. When you know this you’ll understand why simply, ‘winning’, isn’t enough. It isn’t about finishing in first place. It isn’t about beating the others. It’s about overcoming yourself.